If you’re looking for a relaxing break, abandon your car and enjoy some of Upper Court’s many activities and facilities. 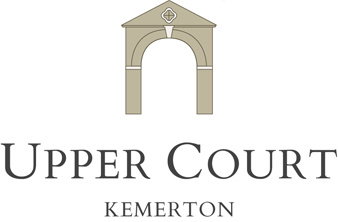 From tennis to pottery and swimming to beauty treatments, Upper Court has something for everyone. And if you fancy exploring a little further afield the beautiful Cotswolds and lively Cheltenham are on your doorstep. Our gardens and grounds are here for you to share and enjoy. If you’ve any questions or need any help just pop into our Estate Office in the Manor. Open from May to early September (depending on weather) 10am-1 pm / 2.30pm-6pm. Please bring your own swimming towels. Children must be with an adult please. Our court is open all year for your use. Please bring your own rackets and balls. Tennis shoes only must be worn – thank you. We’ve a Table Tennis table and a Dartboard. Please bring your own bats, balls and darts. Play Croquet on the main lawn in front of the house – the quintessential way to spend an English summer afternoon. Ask us for mallets and balls (adult equipment only available). There’s nothing like messing around in a boat – take a leaf out of the Wind in the Willows with the boat on our lake. For safety reasons we ask that children are with an adult please. Please beware of swans and respect wildlife. If you’re feeling more adventurous why not hire a boat for the day on the River Avon. There are swings and a slide in the play area for little ones. The Herfords also own the thriving village pub – The Crown Inn – just a short stroll up our country lane. Leased to a dynamic team, enjoy local seasonal menus, roaring fires and traditional ales in the Cotswold pub. My Personal Sanctuary on 01625 540557. Emma Stallard (Therapeutic Massage) on 01684 772172/0784 9628280. Kemerton Acupuncture Clinic for Chinese Acupuncture or reflexology 01386 725461 (advisable to pre-book) – two minute walk. The Escape – Luxury Spa at The Hilton Puckrup Hall on 01684 271518. You’re in the heart of walking country. Pull your boots on and just walk out from the Court onto Bredon Hill and enjoy the outstanding views over the surrounding ancient landscape. For the energetic the Cotswold Way (102 miles) runs between the market town of Chipping Campden in the north and Bath in the south along the Cotswold escarpment. Whilst the majestic Malverns are within easy reach. For more ideas on how to make the most of your time with us take a look at our useful links.